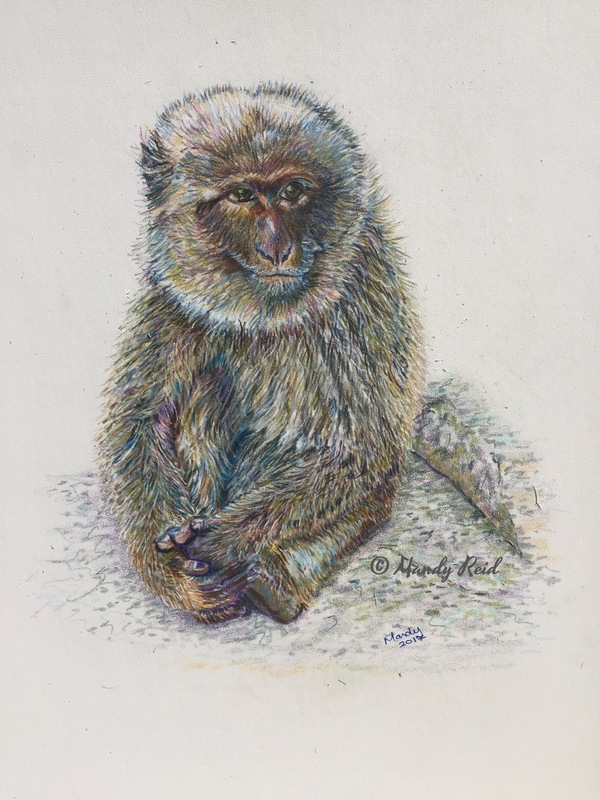 My latest drawing is of a Barbary Ape that I met when visiting Gibraltar a few years ago. I thought he looked very thoughtful and not terribly happy. I wanted to draw him but I was on an accompanied tour so just took a snap and stored it away. I came across the photo a couple of weeks ago when I was looking for inspiration for an animal picture and I knew that coloured pencils would be perfect. I’d just bought some Pastelmat paper which I was keen to try out and thought this would be the perfect subject. I’m pretty happy with the result. I may even enter him in the latest UKCPS competition.